This looks so pretty and tasty. These are so pretty, Ridwan! And I love the idea of raspberry curd instead of syrup...YUM! My my, they sure looks so lovely and tempting, nice way of decorating the cakes. 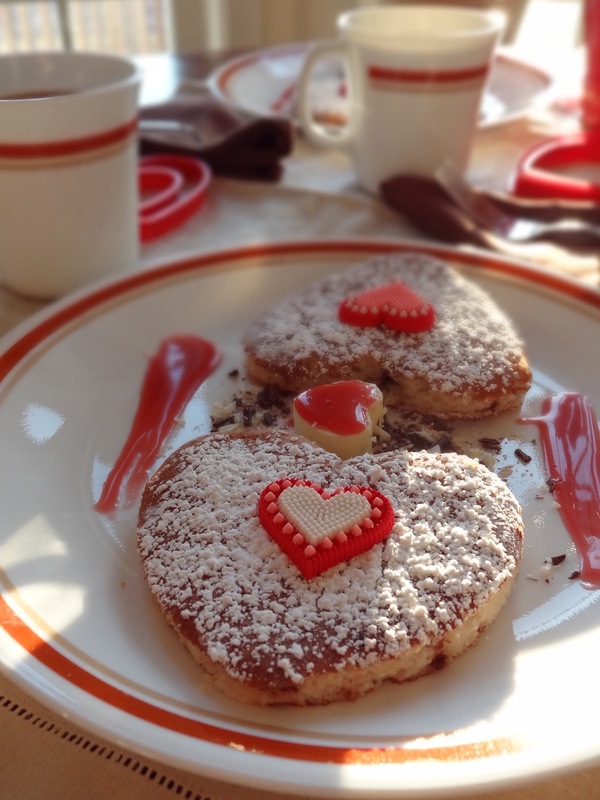 What a lovely and festive breakfast for Valentines day! Hope the day is filled with love and happiness for you! Love the raspberry curd. Mmmmmm! Oh so cute! Great idea on the raspberry curd. I remember when you first posted this--the pancakes look awesome! What a lovely breakfast, Ridwan! I can imagine the delightful taste the raspberry curd added to the pancakes. These look so festive and perfect for the day ! I would never have thought to use a cookie cutter for pancakes! Happy Valentines Day!